As we have written before, one of the new owners of Battersea Power Station, Sime Darby, is one of the worlds largest producers of Palm Oil and has been accused of illegal logging in the rain forest of Borneo and Sumatra as well as destroying the habitat of the endangered Orangutan. The UK government has voted to offer subsides to power stations for the burning of large portions of palm oil and other biofuels. An increased demand for palm oil poses a big threat to rain forest and the Orangutans habitat. Famous British author of fantasy novels, Terry Pratchett, visited Borneo in 1994 and fell in love with the Orangutans. Recently he returned for a BBC-documentary, Terry Pratchett: Facing Extinction, to see how the orangutans turned out. To see what effects palm oil-plantations have on these endangered animals, please watch Terry Pratchett: Facing Extinction. The UK Government are proposing to support the burning of 500,000 tonnes of bio liquid per year in power stations. The largest part of this fuel will be palm oil, since it is the cheapest vegetable oil. One such Combined Heat and Power Station is planned for the Battersea Power Station site. Even though some bio liquids can be good and environmentally friendly, the use of palm oil ruins the rainforest and the home of orangutan, an animal that today is nearly extinct. We have written before how Sime Darby, new owners of Battersea Power Station, have carried out illegal logging in rain forests and endangered the homes of orangutans. So Sime Darby, with their production of palm oil, is not only a threat for Battersea Power Station, but also for orangutans, the rainforest and in the end our environment. Should We Trust Sime Darby with Battersea Power Station? 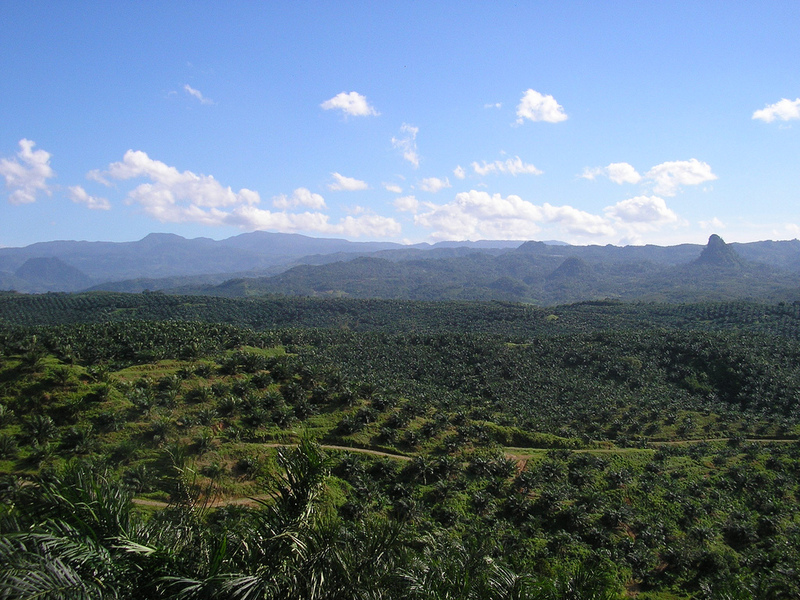 The Malasian company Sime Darby is one of the worlds largest producers of Palm Oil. They also make up 40% of the comglomerate which now owns and is redeveloping the Batersea Power station and surounding area. The company has been surrounded by controversy over its ethical practices. According to a recent Friends of the Earth report Sime Darby has carried out illegal logging in the rain forests of Borneo and Sumatra, home to endangerd speicies such as the Orangutan, to make way for palm oil plantations. Sime Darbys Palm Oil opperations in Liberia are equally dubious with the company accused of swallowing up farmlands and forests used by local communities to sustain their livelihoods. The company has been exposed for running an aggressive Greenwash campaign to try and “counter the negative perceptions surrounding the Palm Oil Industry”. The campaign involved the funding of a series of TV shows which were shown on CNBC and the BBC. The films where presented as current affairs when in fact the company which produced them; the FBC Group (ironically standing for Fact Based Media), where in the pay of Sime Darby and the Malaysian government. Sime Darbys track record show it to be a company with little concern for local communities or the environment. They are driven only by profit and to this end will spend millions to appear “ethical” and “Sustainable” whilst continuing with business as usual. This film asks if we should trust such a company with the redevelopment of one of Britain’s most famous and Iconic buildings. From where was the topsoil currently being removed brought? Have soil tests been conducted on the contaminated soil, and if so, what did the results of these tests reveal? What are the health consequences related to this soil contamination? How is any contamination thought to have arisen? For how long has Higgins Construction known about any contamination present in the topsoil? Will any contamination have affected the fruit and vegetables grown in some residents’ gardens in such a way as might adversely affect the health of anyone who might eat them? 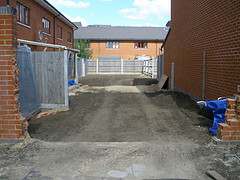 On what basis was the £250 compensation for each affected garden calculated? How long will these works (removing contaminated topsoil, replacing it with new topsoil, and repairing residents’ gardens) take? How much will these works (removing contaminated topsoil, replacing it with new topsoil, and repairing residents’ gardens) cost? Of what nature was this lost paperwork? How was this paperwork lost? If this lost paperwork was in connection with the contamination of the topsoil, why is the issue only being addressed now, several years after the topsoil was bought and laid in residents’ gardens? As I am sure you will agree, it is manifestly in the public interest to have these question answered, since any environmental contamination constitutes a matter of public health and safety. It is not appropriate for Higgins Construction PLC to enter into discussion with any party not forming part of our contractual obligation. In other words Higgins was refusing to answer the questions, many of which only they could answer, on the spurious grounds that only an elected body was entitled to ask questions. Thank you for your reply.I understand that Higgins are refusing to answer our legitimate questions regarding the soil contamination at the Silwood. In a democracy residents do not need to ask questions via an elected body. Indeed there is no such elected body on the estate. To use this as grounds for refusing to answer legitimate questions goes against accepted notions of freedom of speech and accountability. If Keith had not been so keen to jump on the fact that the Silwood Video Group was not an elected representative body I could have told him that almost uniquely I was in fact democratically elected by resident members as Chair of the SVG. But he thought he had his excuse to ignore us and got off the phone in haste. Those few residents who have now had their gardens put back as they were have received their compensation cheques for £250, interestingly not from the RSLs but from Higgins. Meanwhile residents sweat it out (indoors) worrying about their health.